Bristol Farms has a new berry on the shelf—but is it really all that new? Just as it was with the Chinese gooseberry, the Cape gooseberry is today undergoing a rebranding exercise. The American public just isn’t attracted to fruit that takes its name from fowl. In the 1960s, the Chinese gooseberry became the kiwifruit. The new name was taken on—after decades of trial and error—when it was discovered that Americans then associated the fruit with Australia, an exotic (but nonthreatening) land, instead of China. In the past few weeks, we’ve spotted pints of pichuberries at Bristol Farms around L.A. Though the label says pichuberry, it shares the genus Physalis Peruviana with the Cape gooseberry (not to be confused with the gooseberry). It’s the same fruit, but is now being sold under a new label. The golden fruit is about the size of a small cherry, but is wrapped, gift-like, in a thin, papery green shell. From afar, it resembles a tiny, unripe tomatillo. Inside, crunchy seeds tear through juicy flesh. When ripe, the fruit is plump and firm. Its flavor is at first tart, then sweet, then bittersweet. 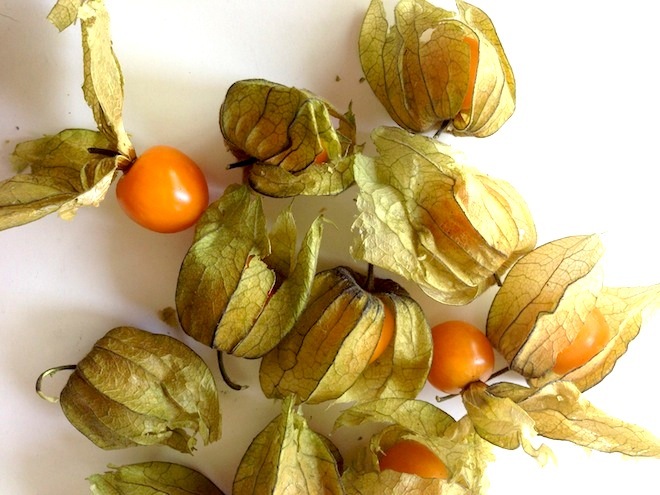 It’s easy to suggest that the Cape gooseberry has not been popular because of its flavor profile—not as floral as a strawberry, nor as complex as a cherry—rather than because of its given name. Regardless, The Pichuberry Company (out of Phoenix, Ariz.) has for the past three years been testing the berry in American markets, trying to find a name that sticks. After years of market research, branding experts discovered that—similar to the story of the Chinese gooseberry—Americans liked the Machu Pichu association. Indigenous to Peru, the berry has so long been out of favor in the U.S. that one wonders why it might be trying to make a comeback. Is it that Peruvian cuisine is gaining in popularity in the U.S.? Or is this simply the search for the next superfruit? The pichuberry has its own spokesperson, dietician Manuel Villacorta, who says that this little berry who could indeed be the next superfruit. Its low glycemic index (25-28) coupled with a high concentration of vitamin C and carotenoids mean that it has anti-inflammatory and antioxidant properties. And while it might not be any more super than the blueberry or the açaí berry, it may end up filling the demand for the next new thing. The rebranding of produce is nothing new. It’s happened with countless varieties of plants and seeds. But will the pichuberry stick? Only time and taste will tell.